Researchers have been among our key clients for more than 30 years. We respect that specialists frequently know much more than us when dealing with measurement practicalities in their field of expertise, but we can offer advice on new developments happening in technology and related fields. We can also advise students and those new to a field of study the options available for their particular application. Our aim is that you can find the best equipment for your budget, without compromising data quality. what parameters do you want to measure? what accuracy do you require for each parameter? what resolution do you require for each parameter? what is the expected range of measurement? what kind of environment will the equipment be in (wet, cold, unstable etc.)? how often do you want to store data? how often can you get to the site (for maintenance/data download)? will there be power at the site? do you want to download data manually or via phone (or other) telemetry? what kind of data processing will the datalogger need to do? will the equipment be able to be used for future projects? It can also be helpful to think about which of these factors are critical and which would just be nice to have (if the budget allows). Once you have this list, you can more easily compare dataloggers and sensors. We recommend you start here! 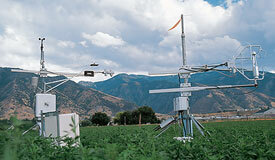 Campbell Scientific dataloggers - the industry standard for research applications. Campbell Scientific manufacture a range of multi-functional dataloggers that can interface with almost any third-party sensor. They run on very low power and can be connected to a range of telemetry devices making them ideal for remote sites. New generation loggers and software are now much more user-friendly making them suitable for both experienced and new users. HOBO (Onset) dataloggers - HOBO dataloggers are small, economical loggers designed to measure a small number of parameters without compromising data quality. There are a wide range for indoor, outdoor and underwater applications. They are ideally suited for research requiring measurement at a large number of sites. Scottech can supply anything from individual products to complete turnkey systems, configured as you require.